Dance classes for children are a great way for starting the journey with dance. We invite children to our ‘dance through playing’ lessons taught according to our own special programme specifically tailored to their needs, during which they will learn the basics of standard and latin american dances, participate in dancing games and general exercises, at the same time preparing for dance shows and competitions. Regular participation in our classes will enable your child to fully use their natural potential, develop their skills and appropriately direct the child’s development while helping to maintain proper and healthy growth of the young body. 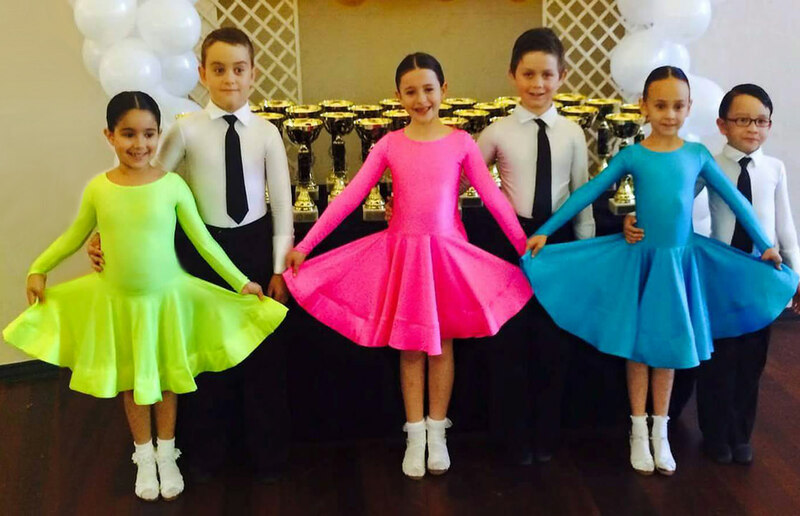 Our dance classes improve body coordination and posture by preventing and correcting scoliosis, flatfoot etc., positively challenge the child, develop its sensitivity to beauty, aesthetics and music, teach good manners and teamwork skills. All year long you can freely pursue your interests, hobbies and master your talent in a nice, friendly atmosphere while having great fun under the watchful eyes of Cezar & Katerina – professional dancers, teachers and pedagogues. This will enable you to gain many benefits for your body and soul.